During the centenary of the First World War, FHE are running the Essex Great War Archive Project with the Essex Record Office. This project aims to collect material relating to Essex and its people in the First World War, and to conserve documents already in the ERO’s collection. Arthur Travers Saulez, with the pencil still marking the spot where he made his last diary entry before being killed in April 1917. The diary was among family papers purchased by the Friends for ERO in 2015. You Are Hear is a project being undertaken by the Essex Sound and Video Archive at the Essex Record Office. 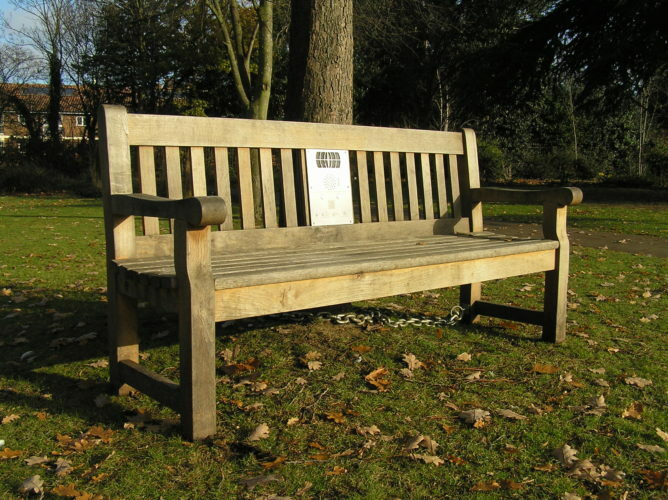 The Friends have sponsored a listening bench which has toured the county loaded with historic recordings from the archive relating to the places it has visited.